The Plastic Problem. Working towards “Mentawai Plastic Free” with the Mentawai Ministry of Tourism. Anyone who has visited Indonesia is confronted by the ever-present sight of rubbish. Plastic water bottles, Mie Goreng packets, biscuit wrappers litter the beaches, line the road edges and float in the ocean. It’s a heartbreaking reality in many places of this strikingly beautiful kaleidoscopic archipelago. Lack of infrastructure, no disposal or removal facilities or services provided by local governments in many of the outlying island groups and lack of knowledge regarding the dangers of rubbish to human health and that of the environment are the main reasons underlying the current situation. Meeting with the Ministry of Tourism in Tuapejat, the capital of the Mentawais, A Liquid Future discussed this issue and potential steps that could be taken to strive for a plastic free Mentawai. The outcomes from the meetings look very positive. The Ministry of Tourism plans to begin a joint pilot program with A Liquid Future from November of this year in Katiet , tackling the issue and finding realistic solutions to dealing with it. 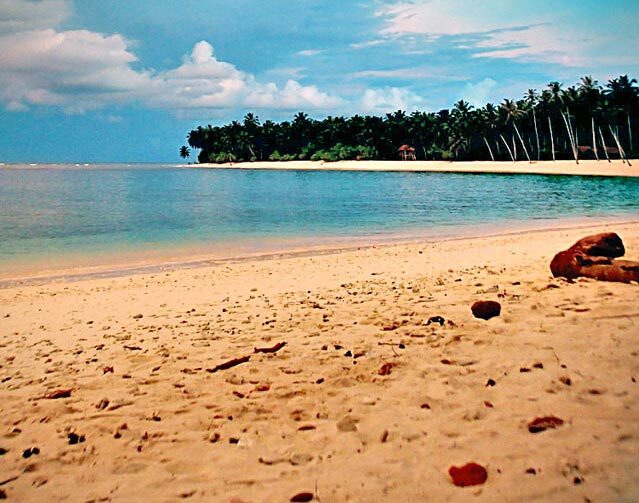 If successful the program would be implemented in other areas of the Mentawais. What draws tourists to these islands are the mind-blowing waves in a PRISTINE ENVIRONMENT. Could you imagine surfing in the Mentawais in a sea of rubbish? Neither could we.